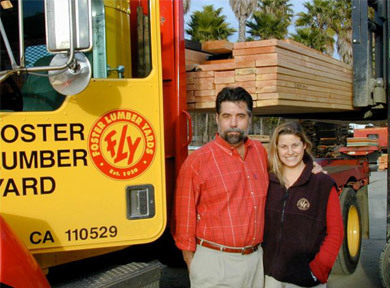 Foster Lumber is a full service fully stocked lumber company. Our experienced sales staff will work with you from start to finish on your project, large or small. You can consider us your project partner to provide support service, lumber and building materials. You can depend on us to help you expedite your project. What you want, Where you want it, When you need it. That's Foster Lumber's motto. When it comes to your lumber and hardware needs, we are dedicated to helping make all your construction projects run smoothly. We have been serving Solano & Napa Counties since 1920. After all this time, there is a reason we're still in business we are committed to superior quality and outstanding customer service. As a professional, you will appreciate knowing you can depend on the team at Foster Lumber. If you have a special need, our staff will work with you to find a solution. If we don't already have the answer, we will find it for you fast. Years of experience have helped us tailor our product line to the things you use. With over 15,000 items in stock, we probably already have what you want. If not, special orders are never a problem. Premium products, superior product knowledge, and outstanding customer service that's what sets Foster Lumber apart from other lumber companies and the impersonal "big box" stores. From the minute you enter our store until your project is completed, you can depend on getting what you want, where you want it, when you need it. That's our motto. That's our promise to you from all of us at Foster Lumber Yards. 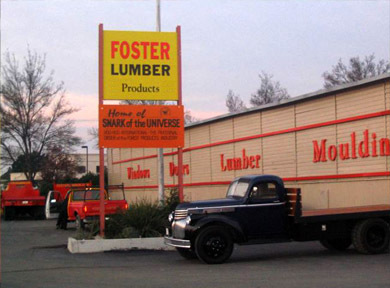 Gilbert D. Foster opened Foster Lumber in 1920 at the corner of Napa and Maryland Streets in Vallejo. The original operation was started as a planing mill, but shortly entered the retail lumber business. 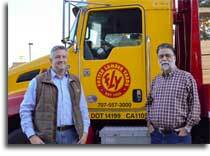 In 1946, brothers Jim and Cecil Jones purchased Foster Lumber from Gilbert Foster. Cecil Jones decided to get out of the lumber business in 1952. Jim and Betty Jones purchased the stock of Cecil Jones that year. 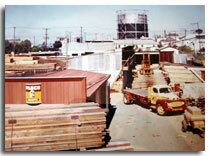 In 1960 a new yard was built in Fairfield, California, at 1601 West Texas Street. In 1961, land was purchased at 3280 Sonoma Blvd. in Vallejo. In 1963, the new yard and store were built; this part of the city was undeveloped and still very much country. In 2018 Foster Lumber began a new chapter of its history when it was purchased by Napa-based Central Valley. Remembering that customer satisfaction is the backbone of our business, we shall continue to offer the best service and merchandise possible and thus develop the company to its fullest potential. Over the years, we have learned many things, most importantly; quality merchandise offered at fair prices with the best service to our customers makes for a bright future.